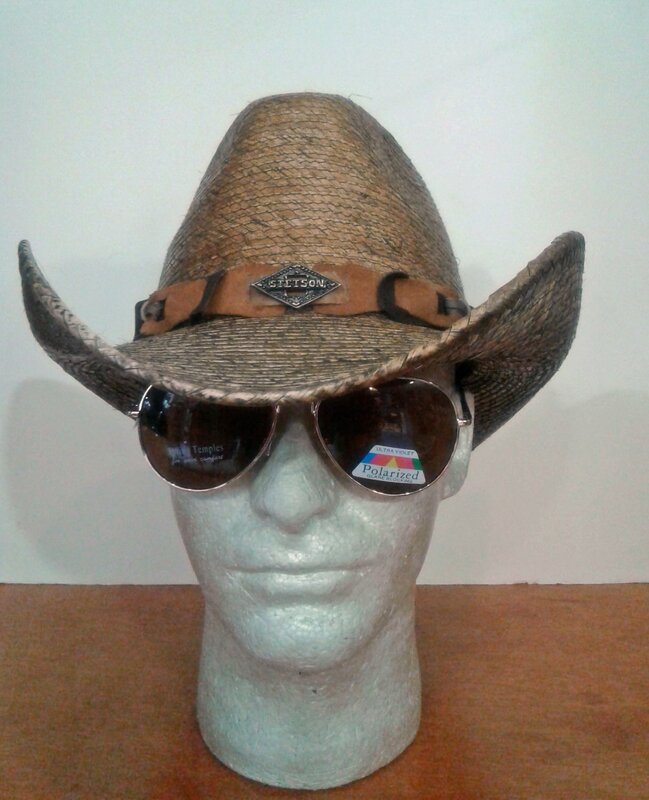 This Stetson western hat is made from Palm. Just enough weight to keep it on your head during a windy day. The 3 1/2" Brim is shaped perfectly.